As the digital era become increasingly pervasive, the intertwining forces of computers and espionage are reshaping the entire world; what was once the preserve of a few intelligence agencies now affects us all. Corera's compelling narrative takes us from the Second World War through the Cold War and the birth of the internet to the present era of hackers and surveillance. The book is rich with historical detail and characters, as well as astonishing revelations about espionage carried out in recent times by the UK, US, and China. Using unique access to the National Security Agency, GCHQ, Chinese officials, and senior executives from some of the most powerful global technology companies, Gordon Corera has gathered compelling stories from heads of state, hackers and spies of all stripes. 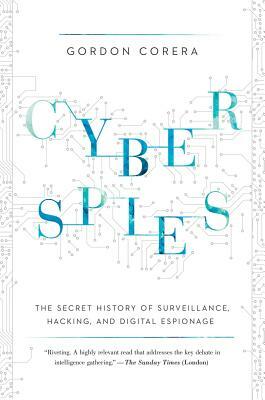 Cyberspies is a ground-breaking exploration of the new space in which the worlds of espionage, diplomacy, international business, science, and technology collide.